Many artists today continue to build an appreciation for wilderness, offering emotional insights into the legacy of stewardship that is so important to the very self-image of Americans, and certainly to those of us in New Mexico. Remote wild lands have informed the Village of Questa’s history, and local wilderness traditions there continue unbroken in many ways. 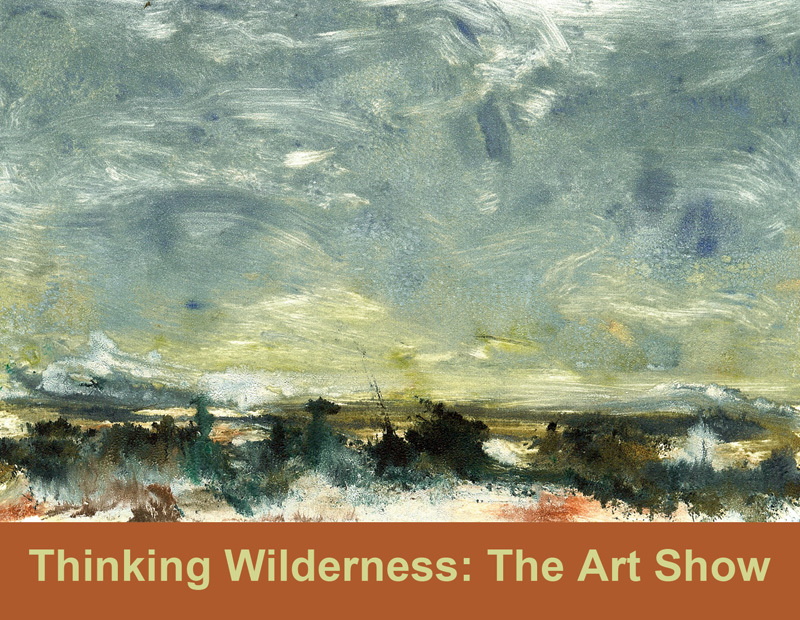 “Thinking Wilderness: The Art Show” was a nice fit in the Questa community and shone a spotlight on this continuing legacy. Hosted and curated by nonprofit LEAP (Land, Experience and Art of Place) and OCHO Art & Event Space, “Thinking Wilderness: The Art Show” featured works by 30 local and regional artists in a variety of two and three dimensional mediums. The show was part of the village of Questa’s participation in the nationwide marking of the 50th anniversary of the Wilderness Act, which now protects over 100 million acres of land. Questa itself is surrounded by some of the most beautiful protected lands in the U.S.
“Many artists in our area are inspired by wildness and nature,” says Claire Coté of LEAP. “This show is a study of that muse, in a fitting location. Our goal for the show was to create an opportunity for emerging as well as established artists to come together to express what wilderness means to them. Barrie Andrews, Lia Bello, Emily Donald Brown, Claire Coté, Chris Coté, Terry Davis, Diane deFremery, Barb Drew, Lana Dura, Kathryn Elmore, Devonna Flory, Spencer Floyd, Jean Frey, Phil Gruis, Roger Harrington, Sandra Moore Harrington, Min Jae Hong, Rene’ Janiece, Audrey Kunkel, Wayne Mckinzie, Christa Marquez, Beatrice Miera-Medina, Roderick Oknich, Betsy Peirce, Robert Perez, Jr, Greg Priech, Kat Sawyer, Martha Shepp, Carrie Adele Dean Schultz, Starr, Sheila-Grace Wellspring. The gallery below represents work from all the artists in the “Thinking Wilderness” show. Click on images to view as slideshow and see details about each work. A public reception was held on Saturday, August 9, from 5 – 8 pm at OCHO Art & Event Space with music by Bittersweet Highway, and Michael Rael & Tim Long added to the celebration. See the Taos News article about the show here.